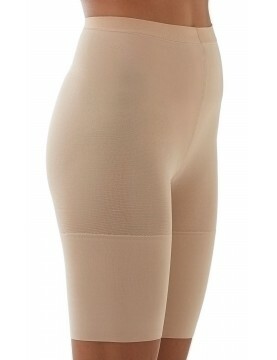 Star Power by SPANX award-thinning slip features an ultra-flat fit and super-sleek slimming. Wear for all-around smoothing all year round thanks to its weightless feel. The most stunning shaping that handles trouble areas with ease! This pretty powerful body shaper by Star Power by SPANX features peek-a-boo mesh inserts…keep your cool & stay in control. Comfortably contour your natural curves with targeted compression from waist through thighs with this Star Power mid thigh shaper, so bulges are a thing of the past. Steal the spotlight with this super slimmer from Star Power by SPANX that keeps your curves under control. Comfortably contours with targeted compression from below the bra line through the thighs, so bulges are a thing of the past. The Lady Luxe Girl Short by Star Power by SPANX provides firm control and shaping in applause-worthy style. Whittle your waist and tame your tummy with the firm control high-waisted girl short by Star Power by SPANX.